It’s inevitable. Most security threats eventually target privileged accounts. In every organization each user has different permissions, and some users hold the metaphorical keys to your IT kingdom. If the privileged accounts get compromised, it can lead to theft or sabotage. Because these accounts control delicate parts of your IT operations, and it is important to know who has privileges, what privileges they have, when they received access, and what activity they’ve done. This is where Security Information and Event Management (SIEM) software comes in handy. 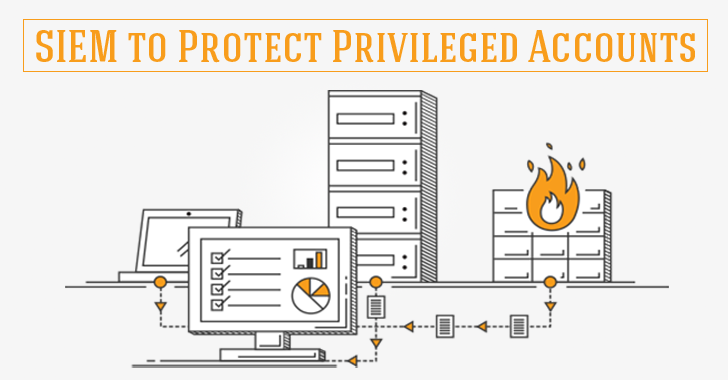 Comprehensive monitoring of privileged accounts can be challenging because you need to monitor users who are administrators, users with root access, and users with access to firewalls, databases, services, automated processes, etc. With every additional user, group, and policy monitoring account activity gets increasingly difficult. On top of monitoring, once an attacker acquires credentials, it can be very difficult to detect their activity on the network. One of the most effective means of detecting compromised credentials is monitoring for suspicious activity such as logon failures or attempts to escalate permissions. SIEM software can monitor in real-time user activity, as well as access to various groups such as when users are added to domain admin, local admin, etc. SolarWinds Log & Event Manager is a competitively priced, fully-functional SIEM solution that has built-in reports and real-time responses to monitor and alert on privileged account activity. Learn more about activity monitoring. The principle of least privilege is one of the most important security policies a company can enforce – only give as much power to an employee as they need to do their job. One of the primary challenges to implementing a policy of least privilege is identifying the actual requirements for each user. SIEM software allows you to identify account usage to determine necessary privilege. You can see if common employees are accessing critical files or if an admin account is making unnecessary changes in your environment. Log & Event Manager can report on the actual usage of privileges to justify granting elevated permissions and audit against the abuse of these privileges. 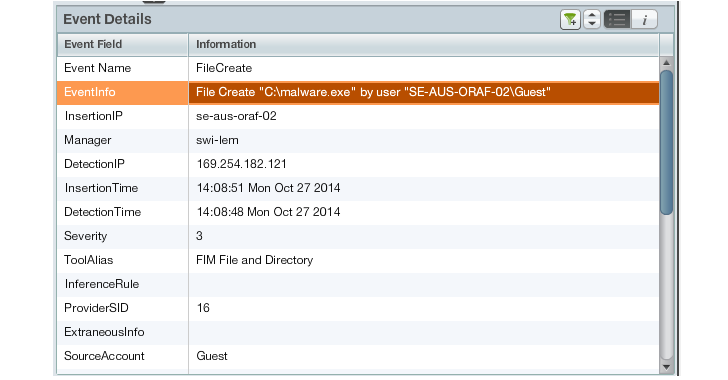 Learn more about privileged account management + SIEM. When it comes to privileged accounts, auditing is a big part of staying secure. If you’ve developed policies for your organization around account access, SIEM helps enforce the policies you’ve implemented. You can hold people accountable for the policies by seeing who is making changes, what changes were made when the changes occurred, and where the changes exist. SolarWinds Log & Event Manager can help enforce these security policies by monitoring and auditing all administrative changes. These security best practices, when enforced, provide accountability within IT, and make it easier to identify an actual security threat using compromised credentials. Additionally, Log & Event Manager comes with advanced File Integrity Monitoring (FIM) to detect and alert on changes to files, folders, and registry settings. For example, FIM monitors an endpoint, like a POS machine, for changes to the Startup items in the registry, or new files created in the root drive, or system files in specific folders. It’s important to audit the activity of administrators because they are the ones who have permissions to make changes to servers and workstations. If, for some reason, an account has been compromised, an attacker will often leave a backdoor so they can come back in later – FIM can help track that activity. See how file integrity monitoring works.